The Shadow chassis modular robot platform kit comes with the shadow chassis, wheels and hobby gearmotors. The perfect platform to mount your microcontrollers, batteries and sensors. The Shadow Chassis is a marvellously durable and modular robot platform. The chassis plates and mounts are cut from ABS plastic and utilise the Actobotics 0.77" and 1.50" hub patterns for sensors, controllers and power. Simply snap each panel together and you will be able to attach your motors and favourite robotics controller. With the included snap on micro-controller mounts, you can attach an Arduino, Raspberry Pi, RedBoard, or RedBot Mainboard! This kit even has a mounting hole for a standard size servo as well as a 4xAA battery holder with barrel jack termination. The Shadow Chassis does not require you to use any additional tools. Everything snaps soundly into place! The pair of hobbby gearmotors 140RPM that are included with the kit are the same ones recommended for use in the Shadow Chassis and offer a cheap and easy-to-use setup to get your wheels turning. Each hobby gearmotor also possess a 9mm long output on a straight axis. 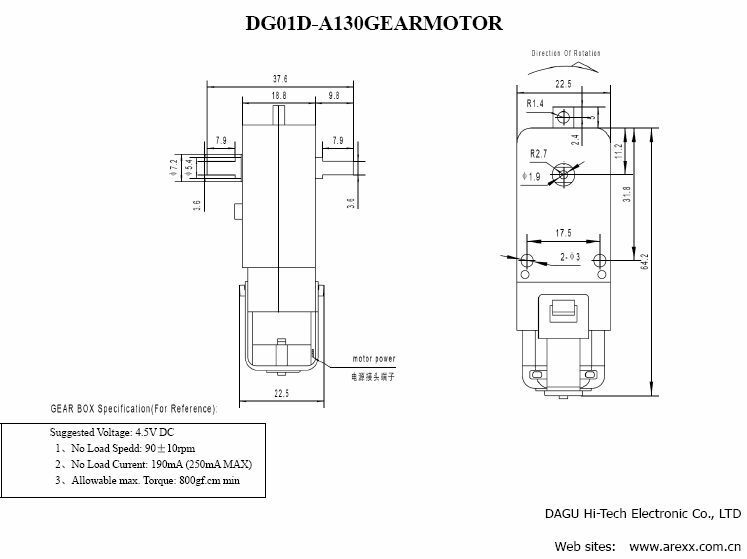 These gearmotors require a voltage of 4.5V with a no load current of 190mA while possessing a gearbox ratio of 48:1 and a wheel speed of 140 RPM unloaded. The pair of basic, 65mm wheels that come with the kit have black rubber tires. These wheels are the same ones designed to fit onto DAGUs right angle gear motors utilised in the Shadow Chassis and RedBot Kit. With these wheels you will be able to get almost any beginners robot project moving. Note: The Shadow Chassis does require assembly. You can find detailed instructions in the Resources section.